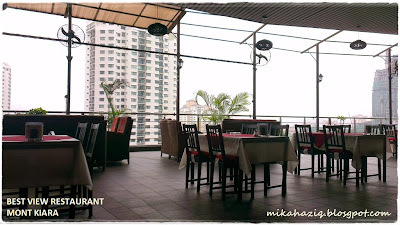 We were out looking for food -as usual- and hubby said he suddenly has the urge to eat thai food at Golden Triangle, Solaris Mont Kiara. 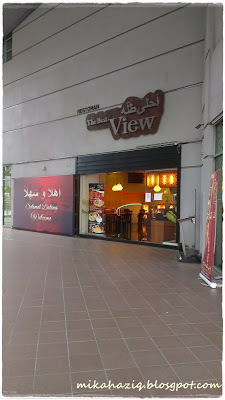 I was quite sceptical as to whether the restaurant is still there or not since we have not been to Solaris for a long time ever since Publika's restaurants started mushrooming. The last time we went there to find Naab, we were shocked to see that it has closed down, so who is to say that Golden Triangle did not? True enough, when we got there.. Golden Triangle has closed down. Sigh.. there goes another Thai restaurant that I love.. Walking about.. we didn't really have much choice.. MeatWorks? Over my dead body.. Laziz? tried once, didn't quite like it.. waiiit! Swensen's closed down too? Ah well, Swensen's here don't really dish out the same delicious food as Swensen's Singapore anyway..So, I told hubby let's try the new arabic restaurant above Cold Storage, the one that I have been wanting to try but never got around to.. Hubby said ok.. and funnily enough.. that restaurant has also closed down and another arabic restaurant called "احلى الطلة" or The Best View Restaurant is now operating at the said premise. Oh well.. so we tried "احلى الطلة" instead. The restaurant is huge.. with a private room so beautiful, I can just imagine a small cosy wedding reception being held here or a private gathering. 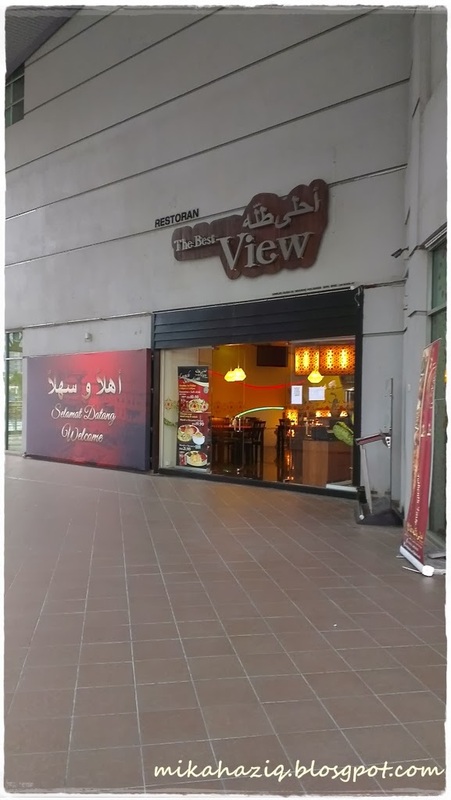 You look around and you thought this restaurant is quite nice, then they bring you outside and suddenly you understand why they named the restaurant "The Best View Restaurant". 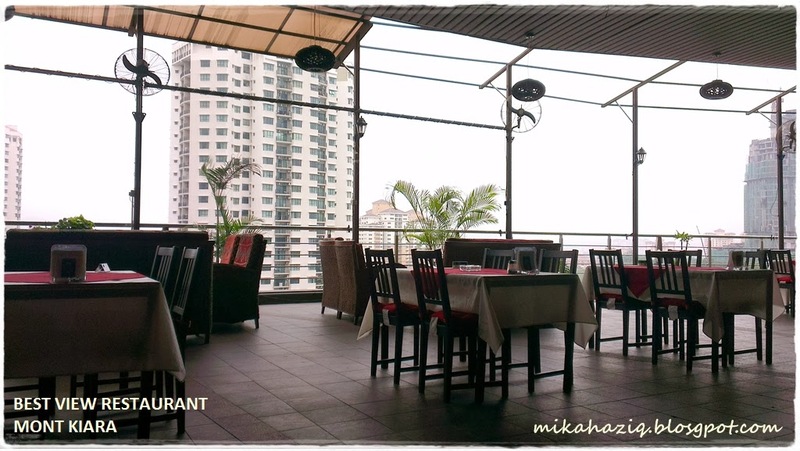 The alfresco area is big and spacious, overlooking the highway of Mont Kiara and the unobstructed view of the sky (save for one or two buildings) makes you feel so relaxed. Of course it helps that we were the only patrons at 4pm so we had the whole place to ourselves. 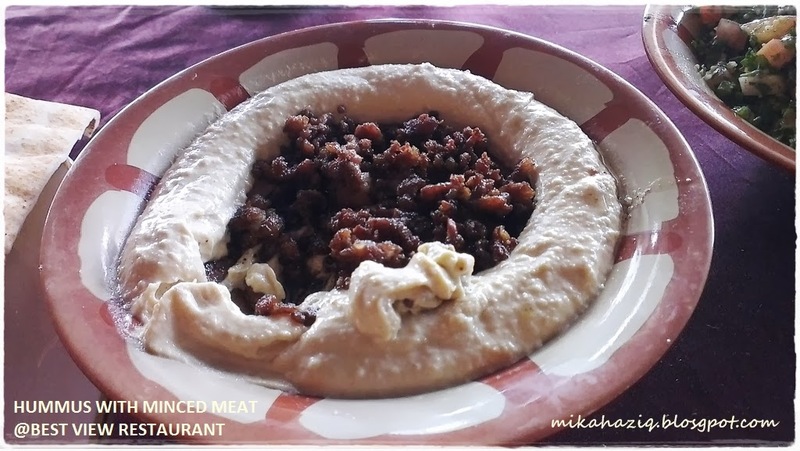 We started with Hummus with Minced Meat and Arabic Bread. The bread was normal, it came in a plastic bag and it didn't taste as though they made it themselves. 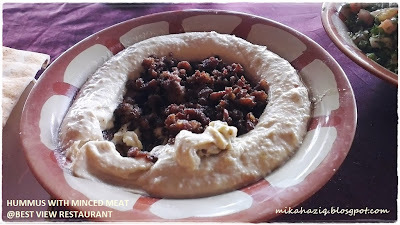 The hummus was nice and thick with generous amount of chickpeas, unfortunately the minced meat adds nothing to the dish. The minced meat was crunchy but slightly oily and didn't taste of any spices / marinade. 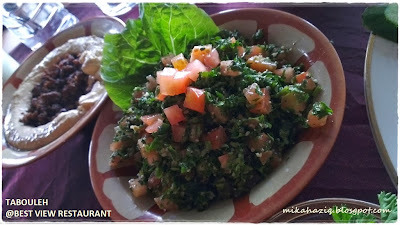 Tabouleh is my favorite arabic salad, unfortunately, it's quite difficult to find one that is prepared to my liking. This one uses coriander with bulgur, some tomatoes and the lemon juice is a bit heavy handed. I did not detect mint leaves. I would prefer diced zucchini, more ripe tomatoes, omit out the bulgur and throw in finely sliced lemon zest instead. I like this dish. 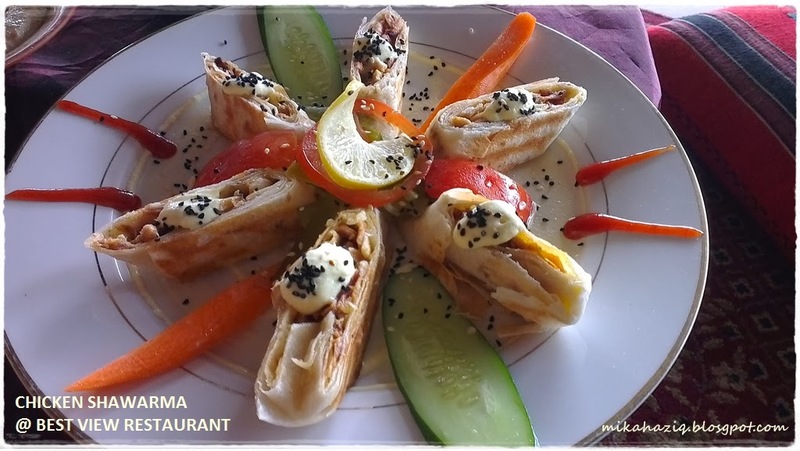 The chicken shawarma roll is cut for you for easier enjoyment. The bread is a bit hard to chew on, but the chicken is nice especially with the yoghurt dressing and the black sesame seed. A light meal that is easy on the stomach. Guess who ordered this dish? Hubby of course. This dish also gets the thumbs up from us. 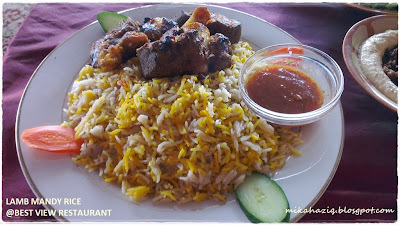 The lamb is tender and the rice infused with spices that delight the taste bud. This may not be the best arabic rice that we have tasted, but it fares quite well, though we like our mandy rice to come with a side soup. 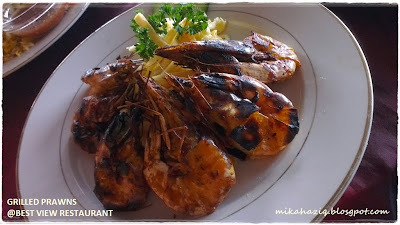 Grilled prawns comes with fries, the prawns are sweet, though tiger prawns would be even better I think. I am not sure if they marinade the prawns before grilling cos I couldn't detect any. 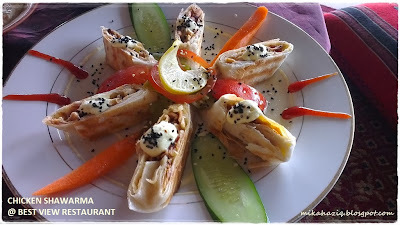 An ok dish but could be better. 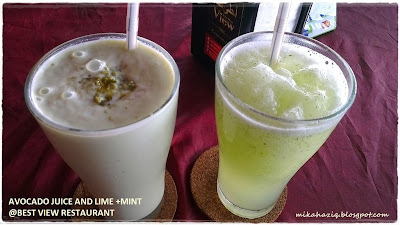 Avocado juice is not a juice that you would usually associate with a middle eastern restaurant, but hubby still ordered it and we find it to have too much milk instead of avocado. I stuck to lime + mint which is a safe bet since they pretty much serve lemon + mint in all the juice bars in Egypt back when I was studying there. Still, this one is pretty diluted for me and has too little sugar (which is not necessarily a bad thing I guess) . 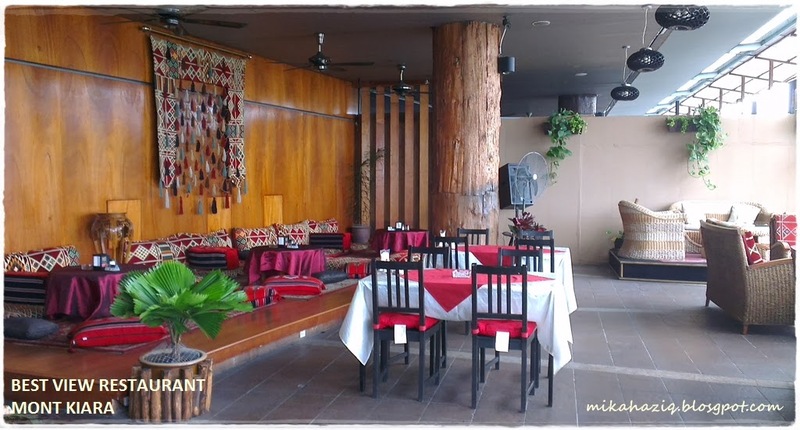 To sum it up, The Best View Restaurant wins big with its cosy decor and interior and the dishes are good enough to make us consider coming again the next time we want to eat arabic cuisine near home.